There's the "big 5" of African game animals: lion, leopard, elephant, buffalo and rhino. Most people area also obsessed with giraffes and zebras, and occasionally crocodiles and meerkats and hyenas. But for such a large charismatic critter, folks tend to forget the noble hippo. One reason why hippos are the coolest? 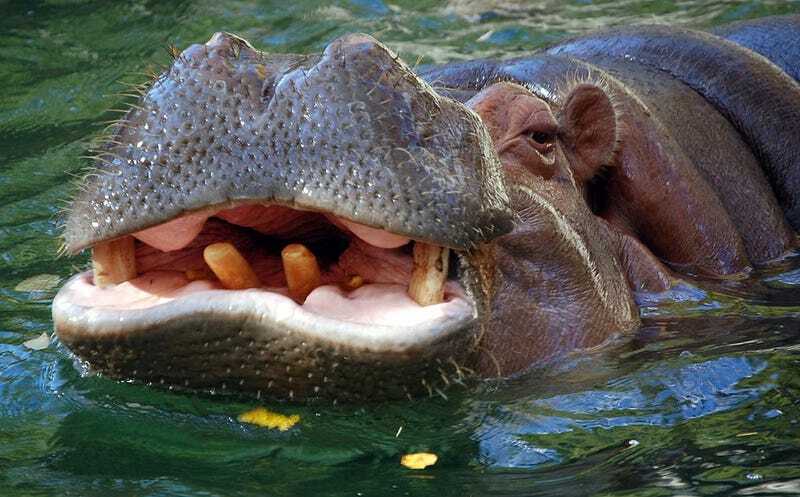 The chompers on a mature, fully grown hippo can bite a three-meter-long crocodile in half.